Decision to issue Letter of Commitment or Letter of Support is made by the VASAB CSPD/BSR via written procedure or at the CSPD/BSR meeting. Written procedure may take up to 7 (seven) days. Flagship should have at least three partners from different countries with a clear indication of the Lead Partner. The information on the partnership composition is important to ensure that the project will be implemented in a good/professional way. 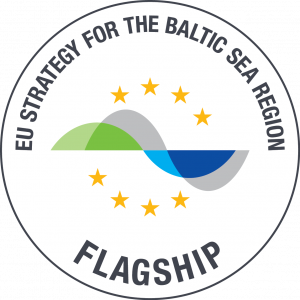 Flagship should have a clear transnational dimension and other traits of a Flagship of the EUSBSR. It should contribute to the implementation of VASAB Long-Term Perspective for the Territorial Development of the Baltic Sea Region and to the overall task of the Horizontal Action to achieve territorial cohesion perspective of the Region by 2030. In addition, VASAB Secretariat checks if the project contributes to the Tentative Action Plan for the Implementation of VASAB Tallinn Declaration 2015-2019. General procedure is available here.